Two old-fashioneds, for two old-fashioned people. 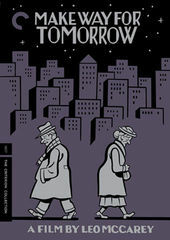 The opening sequence to Leo McCarey’s Make Way for Tomorrow reminds us to bridge generational “canyons” by honoring thy mother and thy father. Happy Mother’s Day!